Why Choose the Principalship Program? 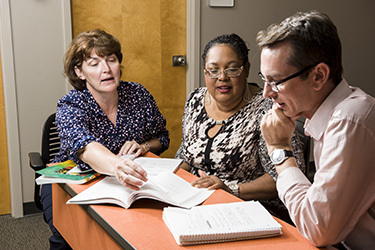 The Master of Education in Principalship is designed for experienced teachers who desire to take on building level leadership positions, such as principal and assistant principal. PreK-12 schools of the 21st Century need principals who are instructional leaders with management expertise and people skills that allow them to lead their faculty and staff in ways that produce success for the students and the school. This program, which includes standards-based coursework and field activities, prepares teachers to become quality building level leaders. A Principal License only program is offered for those who qualify. Admission is in Fall A, Spring A and Summer A terms. Apply at least six weeks prior to the term of enrollment.